It’s a rare person who would give up fame and fortune to toil in obscurity for someone else’s creative vision. Yet that’s exactly what Leon Vitali did after his acclaimed performance as Lord Bullingdon in Stanley Kubrick’s Barry Lyndon. The young actor surrendered his thriving career to become Kubrick’s loyal right-hand man. For more than two decades, Leon played a crucial role behind-the-scenes helping Kubrick make and maintain his legendary body of work. The complex, interdependent relationship between Leon and Kubrick was founded on devotion, sacrifice and the grueling, joyful reality of the creative process. The more I write about film, the more I become fascinated by the, often unsung, heroes behind the camera. 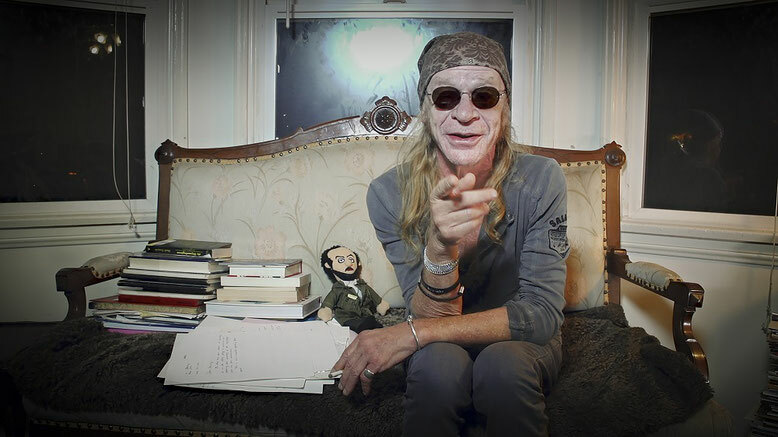 Leon Vitali is surely one of the most devoted and, yes, heroic of these unsung heroes. In a surprising career left turn, Vitali dedicated his life to helping Stanley Kubrick achieve his cinematic vision. 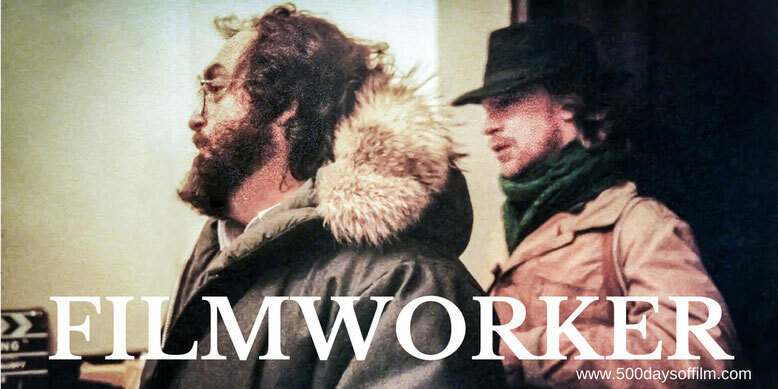 “As Kubrick aficionados, we were well aware of Leon Vitali: assistant to the director,” explains Filmworker’s director, Tony Zierra. “We admired his great performances in Barry Lyndon and Eyes Wide Shut and we knew he had been a key member of Kubrick’s inner circle for many years. It is fascinating to hear Vitali talk about his decision - borne of an attraction to a extremely driven and charismatic man. A loyal, unwavering devotion (or, perhaps, an addiction) to Kubrick that - 19 years after the director’s death - still courses through his veins. Vitali believed in the value of Kubrick's vision (and still does) and was willing to do any job (actor, location scout, casting agent, acting coach and many more roles) to help the director achieve his lofty ambitions. As a result, Vitali had unprecedented access to Kubrick. It is a joy (and a privilege) to hear him talk. He is eloquent and generous, insightful and self effacing. As Filmworker shows us classic behind the scenes footage of films such as The Shining and Full Metal Jacket, Vitali shares many intimate moments - priceless anecdotes that feel special whether you are a Kubrick fan or just have a passing interest in cinema. As impressive as Vitali’s film work undoubtedly is, there was a significant price to pay for being in such close proximity to Kubrick’s bright flame (particularly for so many years). The director’s infamous temper, perfectionism and intensity (respectfully alluded to here) certainly took their toll. Zierra’s documentary features interviews with those who worked with Kubrick and Vitali - including Ryan O’Neal, Matthew Modine and the late Lee Ermey. They all have a deep respect for Vitali. It is clear just how much he helped them. However, each interviewee expresses their concern about Vitali’s working relationship with the challenging director. “What Leon did was a kind of crucifixion of himself,” Modine remarks. The hours and hours Vitalli spent fulfilling Kubrick’s every (changeable) whim impacted his health and, we find out, his relationship with his children. Ask Vitali and he would undoubtedly argue that it was worth it - every battle, every sleepless night, every rage-fuelled tantrum. Just look at what they achieved. However, considering how poorly Vitali was treated after Kubrick’s sudden death (shown in heartbreaking scenes), it does make you wonder. If you have, what did you think of this documentary? Let me know by leaving me a comment in the box below or via Twitter. You can find me @500DaysOfFilm.